The Gingerbread Man is a CUMULATIVE tale because the same events happen over and over ,with one more add on each time. The change comes at the end of the story. 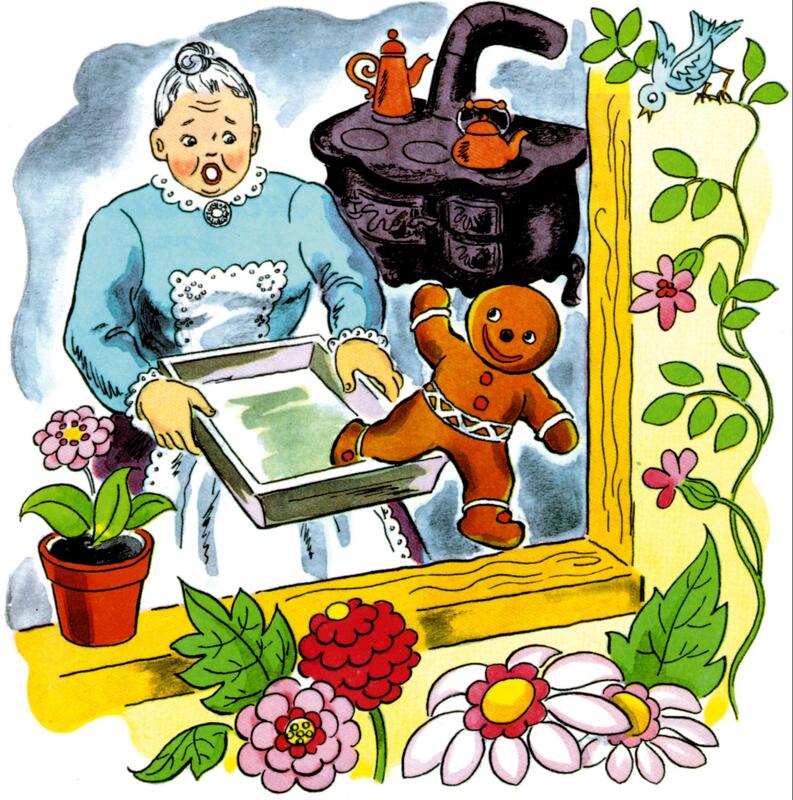 In this story, a little old lady bakes a Gingerbread cookie in the shape of a person. When the cookie was baked, the little old woman and her husband wanted to eat the Gingerbread Man. The Gingerbread Man did not like that idea so he ran away. The little old man and the little old lady ran after the Gingerbread Man. "Run,run as fast as you can, you can't catch me I'm the Gingerbread Man." As the Gingerbread Man is running along come other people and animals see him.They run after the Gingerbread Man too.They all shout "Stop,Stop." lady and I can run away from you." He finally meets a fox who tricks him.